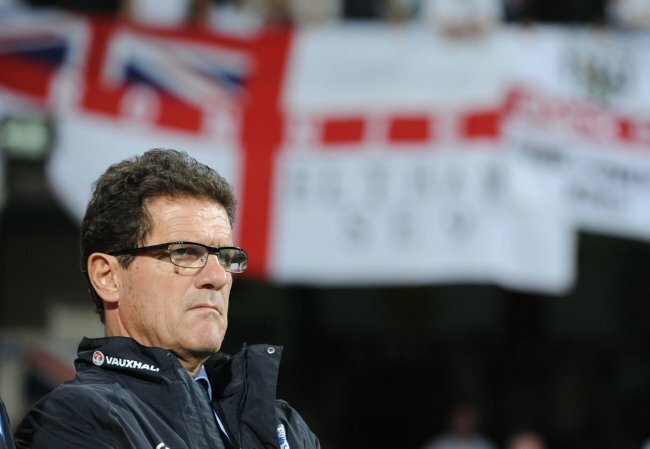 The BIG Question: Should Fabio Capello Wade Into Euro 2012 ‘Rooney-less’? Hands up, I got tired of waiting around for the (massively delayed) verdict last night but, as you may be aware by now, UEFA came down hard on Wayne Rooney and issued him with a three-match Euro 2012 ban for his little indiscretion in Podgorica last Friday evening – sadly, the letter didn’t work. The ban means that Rooney will miss the entire group stage campaign out in Polkraine – in fact, I’d be inclined to point out that, given England’s track records at international showpieces of late, a three-match ban may just be enough to rule him out of England’s tournament altogether, though whether that’s overly pessimistic or not, I’ll let you decide. And so, the question must be starting to bubble away in Fabio Capello’s brain tank: ‘To Roo? Or Not To Roo?’ – hell, I haven’t checked, but I’ll have half a crown on that being The Sun’s back page headline this morning. With the ‘Roos’ highlighted in red of course. 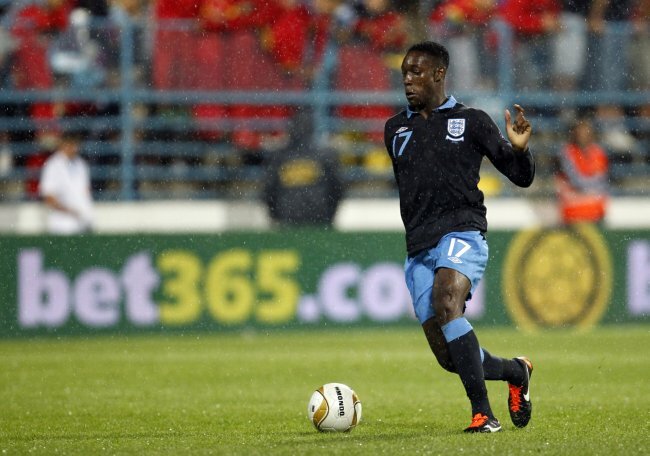 Will Welbeck get the nod come the summer? Let’s have a quick butcher’s at the alternatives: Yep, they’re mostly pretty pap and none of them – even the decent ones – come close to performing the hustle-and-bustle job that Rooney intermittently does so well at international level. Indeed, England’s current auxiliary striker stable is hardly of the ilk and caliber to strike the fear of God into opposition defenders, though the options are looking stronger than they have done in a good while thanks to the emergence of a couple of younger, more vital talents at the Premier League’s big two. As things stand, we’re looking at a pool of Defoe, Bent, Welbeck, Sturridge, Zamora and Carroll, with outside shots for Crouch, Agbonlahor and…dare I say it… Michael Owen*? Not the most awe-inspiring list ever drafted is it? So, the question goes out: Are the alternatives strong enough for Capello to wade into Euro 2012 ‘Rooney-less’? Or should he ‘sacrifice’ a place in his squad in order to ensure that a pink-faced, pissed-off Rooney can be unleashed in the latter stages to wreak havoc/get sent-off immediately? Personally, it’s unthinkable for Rooney not to travel out to Euro 2012, seeing as though he’s the closest thing this infernal country and it’s football team have to a world class player. For me his inclusion needs to be treated like that of a third-choice goalkeeper, with Capello taking four strikers – Bent, Sturridge, Welbeck and Carroll, all depending on form/fitness – and then ‘wasting’ a slot (a slot that would undoubtedly been earmarked for SWP) on Rooney, just on the off chance that a sheer miracle occurs and England are left with a fourth game to play come June. Either way, we’ve got next summer’s excuse sorted. YES. He’s England’s best player. Unless England aren’t planning on getting past the group stages. 3 game ban was also way over the top, UEFA need to change the rules otherwise EVERY red card will have to be changed from a 1 game ban to 3 because EVERY red card is usually for violent conduct. 3 game ban for a straight red card related to violent conduct is fairly standard these days (in club football anyways), don’t know what England can complain about. They’ll definitely bring him anyways, all squads go to tournaments with one or two players who everyone knows will never play, just omit one of those players and bring Rooney instead. Considering that we haven’t gone out at an international tournament group stage for almost 12 years, I think this comment, ‘in fact, I’d be inclined to point out that, given England’s track records at international showpieces of late, a three-match ban may just be enough to rule him out of England’s tournament altogether’, is a little harsh. Like a lot of people I’d like to see him punished for being an idiot (because I’m NEVER an idiot)and see his tears as his mates put their Gucci man bags under their arms and head for the plane. But what you’d actually see on a back page would be his grinning face from a beach somewhere. It’s the old face-nose-spite dilemma. In fact I can imagine the excitement as well if we limp through the group stage when everyone starts saying, ‘Yes, we’re through, and Rooney’s back now!! !’ Could be good for at least one night before we all have to say, ‘What happened there?’ again. I’d say Capello should keep Carroll out, Put in SWP on the offensive midfield and have Rooney take Carroll’s berth in the final call-up. Jesus England is old mother hubbard up front, any chance we can convince messi he was originally born in Bradford. Hang on with a name like Lionel he has to be english. Doesn’t really matter as Rooney will no doubt get injured at the end of April anyway!!! No! this idiot should stay at home wathing his teammates lifting the cup! Yes he’s an idiot but Who else is up there with him for talent? Capello has the next few months and handful of games to work a rooney-less system. If it gets us through the group, why should we suddenly drop what’s worked and put Rooney back in? The lad should have known not to lash out, It’s his own fault. Don’t take him. it’s possible that andy can be one of those players that performs better for country than he does for club, but the rooney ban was well deserved. he acted with the intent to hurt, i dont see how its debatable. Why not. He is not England’s best striker. Then keep this going if it works or replace gerrard or welbeck, depending on who is/isn’t performing, with Rooney. Perhaps Zamora is a better option than welbeck up front in the 4231 formation as his skill set is more suited to this role but welbeck and Rooney up front is surely the future for england and so giving welbeck experience is a necessity for success in the next few tournaments. No. It might teach him a lesson. We aren’t going to win the the damn thing anyway (Spain, the dutch, Ze Germans, le French and probably a few others are all better than us). Also, I take issue with the idea that he’s world class. He has had 2(?) good games at international level. He usually spends his time running round like an red faced angry manatee, inevitably underperforming and then blaming everyone, including fans, for his own failings. I remember a few years ago, another international team dropped their talismanic striker, to the outrage of many fans who saw him as the “heat and spirit” of the national team. They went on to do quite well… Oh, the player in question’s name? No debate whatsoever: he musn’t go. What kind of example does that set? What message to the other players? To those who mit miss out because of his iditioic behaviour? If he had a shred of decency (and we know the answer to that) he’d retire from international football now. He is a disgrace to the nation. But…it doesnt matter what WE think.can you imagine for a second Nike or EA Sports sitting idly by amd watching their marquee brand miss a major tournament? Never gonna happen. Ps. man U fans: its alright to criticize him, dearies. He doesn’t care whether you stand up for him or not. Put your blind club allegiance to one side and look at this from the angle of fair play and sportsmanship. Can Man U fans do that, or is it genetically programmed otherwise? Of course he shouldn’t go, but of course he will. Capello doesn’t have the balls to drop him. he should be taught a lesson, because he’s always misbehaving, because he’s a mindless prick!